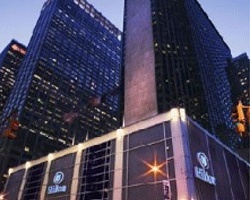 Your own swanky Midtown high rise is yours for the taking at the Hilton Club New York resort. SellMyTimeshareNow.com can help you realize the Big Apple accommodations you've dreamed of with dozens of timeshare resales and rentals available at the resort today. What’s My Hilton Club New York Timeshare Worth? Located in the heart of New York City on the Avenue of the Americas, nothing says "New York" quite like the Hilton Club. This skyscraping resort towers over Midtown Manhattan, just a few blocks from Central Park, Broadway, and other signature New York attractions. Complete with personalized club-only services like private elevators and a unique bar and lounge, the Hilton Club will treat you like you're a member of New York City royalty. Comprised of stylish guest rooms and spacious multi-room suites, this Hilton Grand Vacations New York property is perfect for couples, small groups, and families alike. With unbeatable views of New York City from every room, it's hard to turn down the opportunity to travel to the Hilton Club each and every year. Are you ready to secure the New York accommodations you're after? SellMyTimeshareNow.com can help you get into one of the exclusive timeshare suites available at the Hilton Club for a fraction of the price that the resort offers. Fill out the form on this page or call 1-877-815-4227 today to learn more. 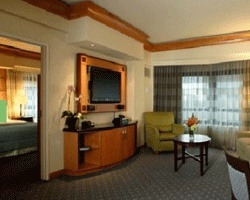 The Hilton Club New York is one of Hilton Grand Vacations' most exclusive and special properties. However, you can find the same great accommodations that the resort offers to timeshare buyers for a fraction of the cost through the resale market. Buying a timeshare resale not only allows you to lock down those coveted yearly accommodations at the Hilton Club, but can also unlock a whole new world of vacationing. As a resale buyer, you'll be able to purchase HGVC points from current Hilton Club owners, which will give you easy access to the Hilton Grand Vacations Club. What's more, you'll also be enrolled in HHonors, Hilton's rewards program, and will be able to receive special perks and extras available to members only. Buying a HGVC timeshare resale at the Hilton Club means you'll be a part of one of the world's best timeshare programs. Hilton is one of the most resale-friendly vacation ownership brands out there, and doesn't set too many restrictions on resale buyers. While you won't be enrolled at the Elite level of the Hilton Grand Vacations Club, you'll still be able to use your points to make seamless reservations at the Hilton Club New York, as well as other HGVC resorts. Hilton Grand Vacations Club is affiliated with RCI, the world's largest and most popular timeshare exchange company. When you couple your Hilton Club New York timeshare resale with an RCI membership, you could have access to a worldwide exchange catalog of over 7,000 resorts. When you deposit your Hilton Club New York timeshare with RCI, you'll receive RCI points to choose whatever resort you'd like to exchange with. What's more, the Hilton Club has been awarded RCI's Gold Crown rating, the highest possible achievement for affiliated resorts. Glitz and glamour are on display at the Hilton Club New York, as every need and wish of its guests has been carefully anticipated. 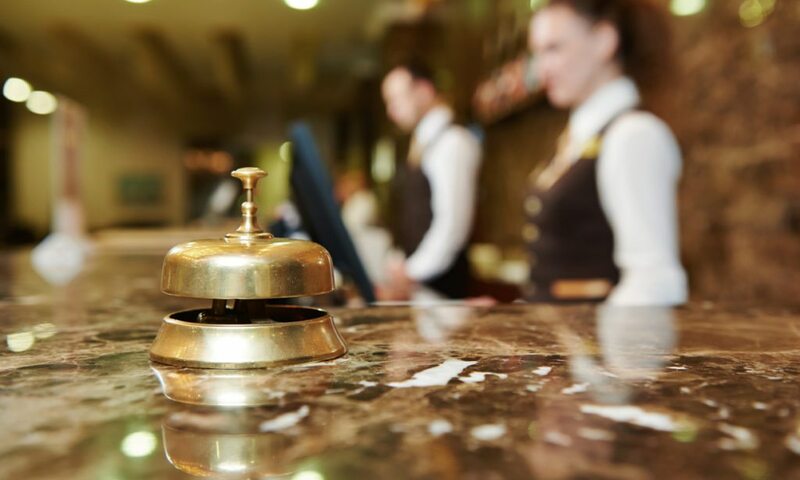 The concierge desk can provide expert services for everything from things to do around town to making dinner reservations at the on-site Herb N' Kitchen or the minus5 Ice Bar. For those who forgot the toothpaste or the aspirin at home, the resort's convenience store will have you covered. Finally, the on-site fitness center and yoga classes will allow you to stay on top of your fitness goals while you're away. Perhaps the resort's most popular amenity is its location. 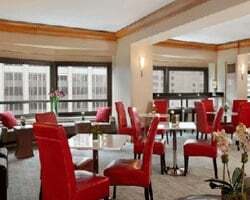 At the Hilton Club New York, you are truly in the heart of the city. In just minutes you could be strolling through Central Park, shopping on Fifth Avenue, catching a show on Broadway, or ascending the Empire State Building. Further trips will take you to the Statue of Liberty or the up-and-coming neighborhoods around Brooklyn. Whatever it is you seek to do, you can do it comfortably and affordably with a Hilton Club New York timeshare. Already Own at New York Hilton Club?